Being a first year teacher, I struggled with how to create an innovative learning environment. How could I bring 165 7th and 8th grade students, who had an endless amount of substitutes the year before, into 21st century learning? Well, I certainly tried. 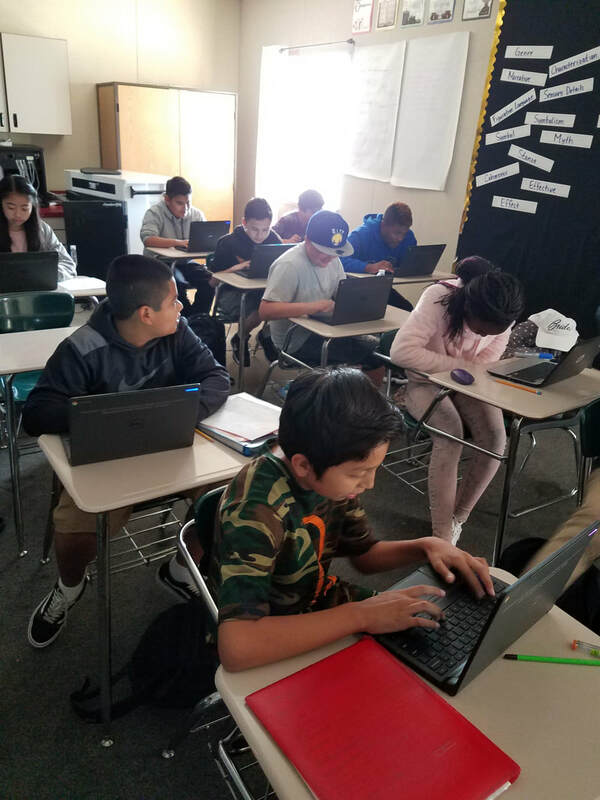 From having iPads to the classroom, to getting a class set of Chromebooks, to having all students 1:1, I advocated for technology in my classroom. Once I had technology in the classroom, I thought "Wah-lah! It's a 21st century learning environment!" Only to realize I was simply substituting the work. I knew when I started the program that I wanted my research to focus on technology in the classroom, but with a broad idea of where it would go. When I started reading other research on technology in the classroom, I found that very little research was being done about the communication and collaboration aspect. When my administrators started focusing on academic conversations in the classroom, I knew I wanted to explore how technology could effect student's collaboration and communication skills.